Budget 4G smartphones are pouring into the market these days and here is yet another one to add to the list. 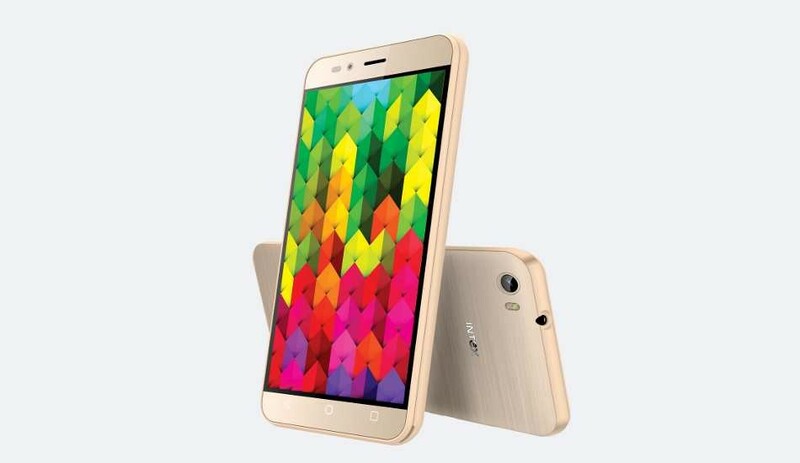 The Intex Aqua Trend is one the latest additions to the company’s Android lineup that comes at an affordable price. The aesthetic look and feel of the smartphone is a bit of mixed bag. It is pretty decent from the front, but the back cover looks cheap. Thankfully, a bundled flip cover having white leather texture saves the dignity of the phone. Intex provides you with some internal sensors including accelerometers, proximity sensor and an ambient light sensor. The navigation buttons are placed at the bottom. The Aqua Trend screen size measures 5 inches with a resolution of 720×1280 pixels and weighs 152grams. You will not be satisfied with the color reproduction as banding is quite noticeable even in wallpaper images. However, brightness levels are good which helps in average visibility. The display has no scratch protection, nor is the touch that sensitive. Most of the buttons are placed on the left side of the phone, but things would be simpler if they would have been placed on the right as they are blocked when you use the flip cover. The phone is available in black, grey, silver and champagne colors. Intex Aqua Trend specifications are no different from the rest. The phone is powered by a quad-core MediaTek MT6735 SoC and 2GB of RAM. There is 16GB of onboard storage that is expandable up to 32GB with a microSD card. “Smart Wake” lets you open apps by simply tracing a predesignated letter when the screen is off. Intex Aqua Trend handles most games and apps quite well. The call quality is considered average as no call drops are experienced during a conversation. Although the incoming notifications are clearly visible, the audio quality could have been comparatively better. Sadly, the earbuds don’t have a good fit and the sound quality is very poor. The 13MP camera clicks decent macro shots if given good lighting. Autofocus is quick in the daytime but not in dim light. The front camera sports 5MP and captures decent selfies. 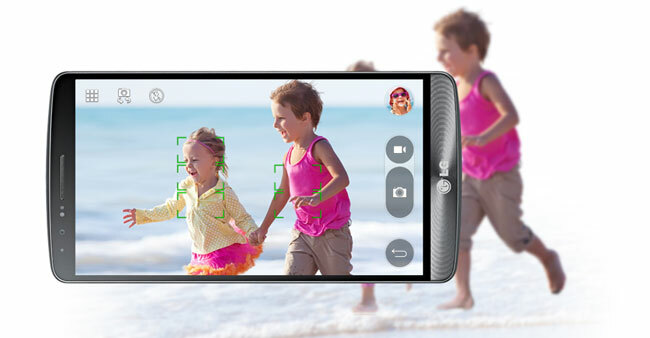 Picture quality is strictly average from both the front and rear-facing cameras. Intex Aqua Trend features were expected to make up for its shortcomings in the battery department, but sadly it didn’t happen as the 2000mAh cell lasted for just 11 hours, which is considered below average. The Intex Aqua Trend doesn’t break any new ground hence is an unnoticeable smartphone. Considering the complete package, the phone is expensive as well. The flaws include an underwhelming display, average camera and poor battery life. Overall, this phone should be given a miss. 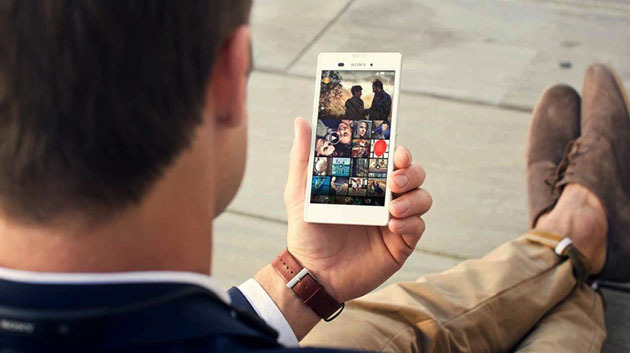 Sony has unveiled a new mid-range Smartphone, the “Xperia T3”. 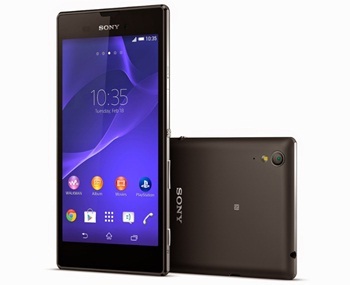 It shares a lot of features with the previous model, the ‘Xperia T2’, but is more compact and sleek. The Japanese mobile manufacturing firm has announced that the Xperia T3 will be available throughout the world by the end of July. This new Smartphone has a Triluminous IPS display with 720p resolution and supports 4G networks. Most importantly, this new smart and sleek 5.3 inch Smartphone runs the most recent Android 4.4 KitKat operating system on a Snapdragon chipset with a quad-core Cortex-A7 CPU. Design-wise, this handset has the stainless steel frame with the power button on the side, and is also available in three colors: black, purple, and white. This Android-based Smartphone sports an 8 megapixel autofocus rear camera with LED flash and a Sony Exmor RS sensor. The Xperia T3’s rear camera comes with additional features such as scene detection, HDR, face recognition, red-eye reduction, sweep Panorama and geo tagging. Moreover, it supports Bluetooth, Wi-Fi, GPS/A-GPS, GPRS/EDGE, Micro-USB and 3G connectivity options. The Xperia T3 is backed by a 2500mAh battery, which is rated to deliver up to 13 hours of talk time and 688 hours of standby time. Not only does it have a large 5.3-inch screen, but also got a fairly thin body that includes stainless steel. 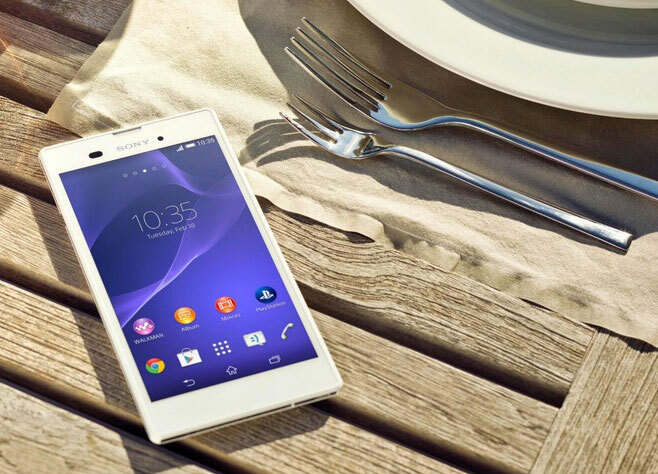 The combination of technology and the premium design ensures the Xperia T3 stands apart from the competition. 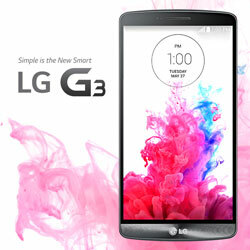 On Tuesday, at an event in London, LG officially announced its flagship Smartphone, the LG G3. But, some international websites have killed the suspense of its features by publishing the device specifications before its release. This device is a mainstream Smartphone with a Quad HD display screen, which has a 2,560 x 1,440 resolution for a pixel density of 538 ppi. Although it’s generally accepted the human eye can’t detect or recognize improvements in pixel density above 300 ppi on a Smartphone, one of the LG executives insisted that the improvements can be apparent through the naked eye. The LG G3 comes with some major upgrades that make it different from last year’s model. The display is the mirror of every Smartphone that keeps it in the front row. Without display, we can’t talk about the design features of mobile technology. 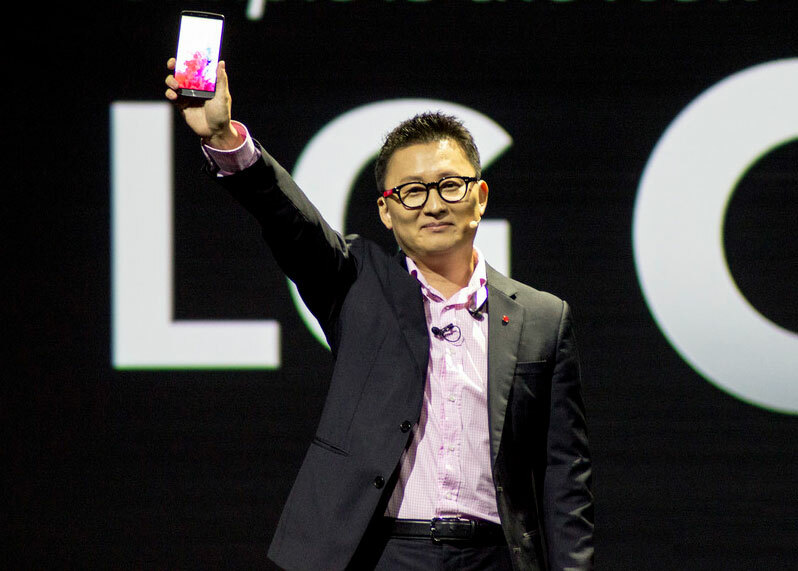 This year, LG highly concentrates on the ppi pixel density and finally gave birth to LG G3. This new device, with it’s 5.5 inch display, features rear buttons and extremely small bezels all around. 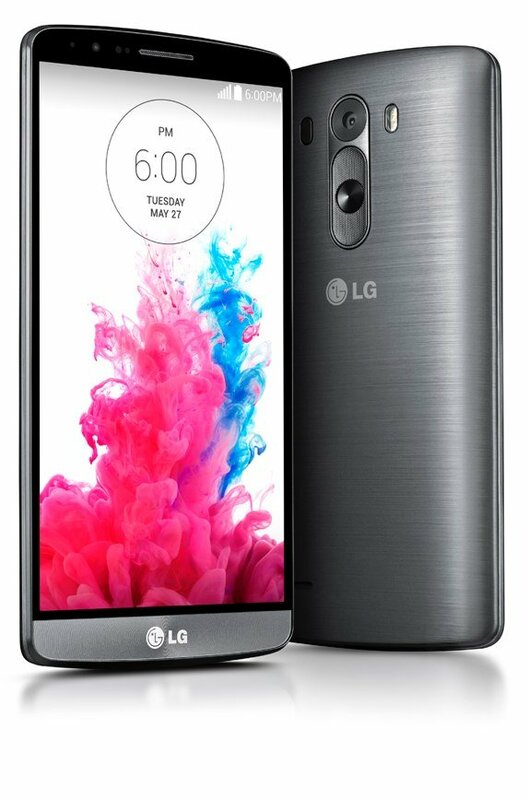 The LG G3 retains the G2’s 13 megapixel camera and optical image stabilization, but has been upgraded with the same OIS+ system that is on the G Pro 2 phablet. It has a white dual LED flash similar to the one found on the HTC One M8 and iPhone 5S, which promises to produce more bright colors and skin tones. The most interesting part of the LG G3 design is the choice of multiple colors that is available to users. The volume keys are again situated on the back of the handset, which is not surprising. 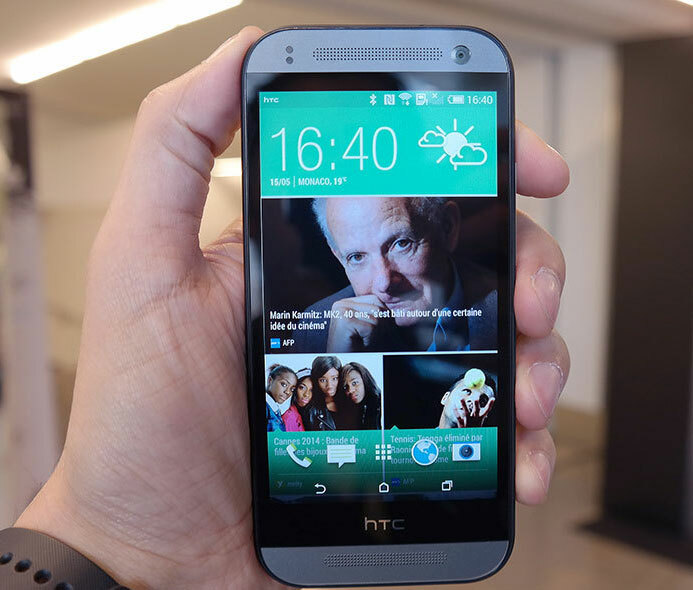 The new Android Smartphone “HTC One Mini 2” has created enough buzz in the market and is now finally available for the sale. 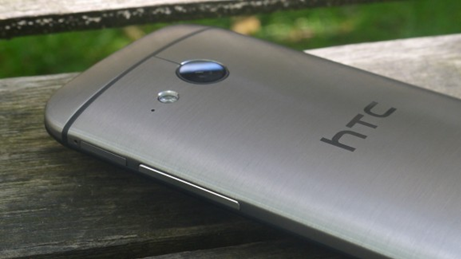 After a series of leaks and rumors, HTC has officially announced its new flagship Smartphone ‘HTC One Mini 2’ – the compact variant of the HTC one M8. HTC is undoubtedly hoping its new flagship Smartphone can put together a better showing than what we saw last year. This new Android handset features a dual LED flash, 13 MP rear facing camera, 5MP front facing camera, 1GB RAM, Android KitKat 4.4 operating system, 16 GB internal memory, and a MicroSD card slot. Almost everyone is familiar with the fact that the major part of the current Smartphone marketplace is dominated by Samsung, Apple, and Nokia. But, it’s quite good to see that HTC has not let its hopes go down. 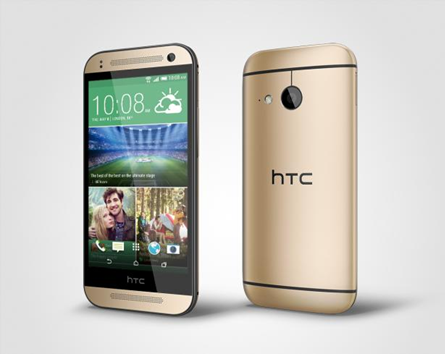 If you are planning to buy a new Smartphone, then the HTC One Mini 2 may be the one meant for you. We’ve got all the nitty-gritty on HTC One Mini 2, so keep on reading for a rundown on the specs, design, color, camera, display and more. Visually, there are no big surprises. The HTC One Mini 2 has a 4.5 inch screen, and its looks are pretty much copied from its big brother “HTC One M8”. This mobile phone is expected to hit the market in a wide range of colors such as Gunmetal Gray, Glacial Silver, and Amber Gold. If we talk of buying a new Android phone, the camera is a major factor we consider on a new mobile phone. This time, the front facing snapper is definitely an improvement, as it’s been shifted from 1.6MP to 5MP, making it a perfect fit for our selfie obsessed culture. 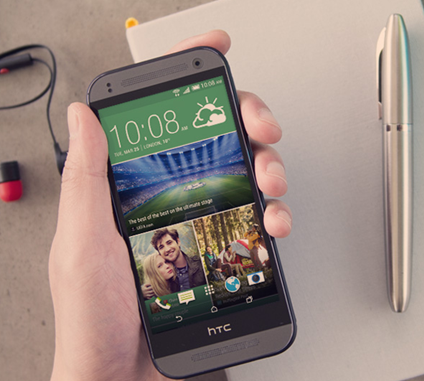 The HTC One Mini 2 comes with the latest version of the Android OS. It’s sleek, smooth, intuitive design looks good. 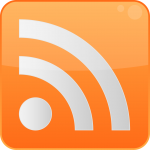 Plus, it gives BlinkFeed, so the user can get all their news and updates in one place. From storage, you get 16GB of built-in memory plus a MicroSD card slot so you can boost that by up to 128GB. Every year Android introduces a new experience by discovering new flavors of technology. Android is a well-liked mobile platform and is the most preferred choice for mobile operating systems among people all around the globe. It has gained a good popularity within a short period and keeps itself in the row of successful achievers. 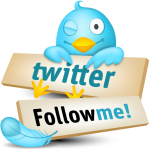 It has provided increasingly higher security to its users along with highly featured functionality. From last many years, Android has given us a feature-rich mobile OS that constructs our lives free of hassles and full of ease. Android 4.2, also known as the Jelly Bean release, has a lot more to offer in terms of features, usability, functionality and reliability. Jelly Bean is gaining positive reviews so far and has grabbed millions of user’s attention. Android seems to put every a lot of effort into making your experience feel smooth, fluid, and easy and this new version, Android 4.2., doesn’t disappoint. This new version has more reactive and touch responses which means that you will feel complete control with every action.